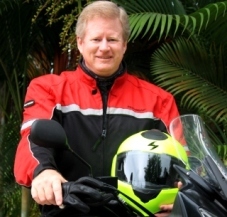 Don’t ride a motorcycle but want to enjoy a MotoCaribe tour? No problema! Come along in our modern 15-passenger van piloted by The Boss herself, Alida. Van adventurers enjoy the same all-inclusive itinerary, sights, sounds and activities as our riders do, all in air-conditioned comfort. And as a bonus you’ll learn all about this incredible country from a knowledgeable bi-lingual Dominican hostess. All our tours have van seats available, so take your pick! Van Tour pricing is on all tour pages. Do your riding buddies or Motorcycle Club want to plan a road trip of a lifetime? No problema! Drop us a note and we’ll put together an epic all-inclusive package on a scheduled MotoCaribe tour, or a custom tour just for you. Our years of riding the Dominican Republic make us uniquely qualified to custom brew a simply incredible adventure for your group.